In 2018, 1 of every 2 health products will be sensitive to temperature excursions and will require Cold Chain monitoring. OCEASOFT develops wireless connected solutions for monitoring and tracking critical physical parameters such as temperature, humidity… in order to ensure the integrity and conformity of sensitive products during their storage, production and transportation in pharmaceutical, healthcare & life science industries. 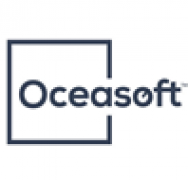 OCEASOFT provides a vertical offering, from sensors to data integration in customer information systems, with expertise in the following three fields: sensors and calibration, wireless data transmission and development of associated web, mobile and PC applications. OCEASOFT has invested heavily in R&D for many years by integrating new technologies (Sigfox™, LoRaWAN™ Alliance …) to match with its customers’ needs, both now and in the future. With ISO 9001 certification and the ISO/IEC 17025 COFRAC accreditation of the internal laboratory, OCEASOFT applies, on a day-to-day basis, quality as its guiding principle. Whether your organization is in the beginning phase, or is a global enterprise, OCEASOFT will work in partnership with you to set up a monitoring solution tailored to meet your specific needs.